No miles today! Have you looked outside? Strength training and Yoga on the schedule for today anyway! I'm very happy I moved my run to yesterday! Yikes! Some super exciting news for Michigan racing! For those of you that love the Kona Running Company races; you know - the people that bring you ShamRock N Roll Run in March, the Kona Run in June and the Wicked Halloween Run in October which make up the Kona Triple Crown Series. 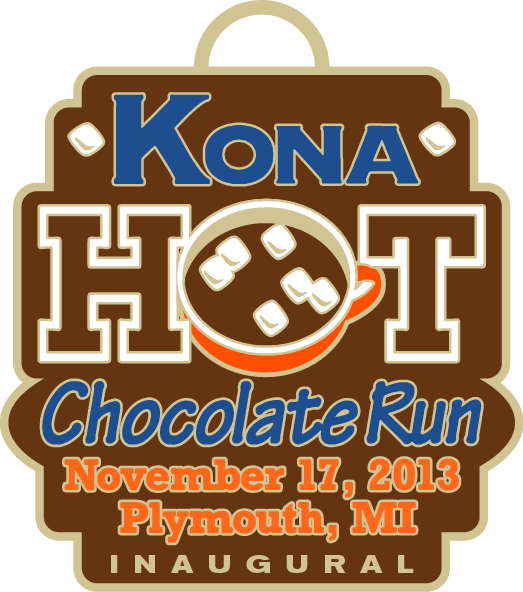 You will be happy to know that they are adding a fourth race this year called the Kona Hot Chocolate Run. Of course, I will be there as well to blog about it as their official blogger but wanted to share the news with you so you can sign up too. You have GOT to see the swag for this inaugural race! 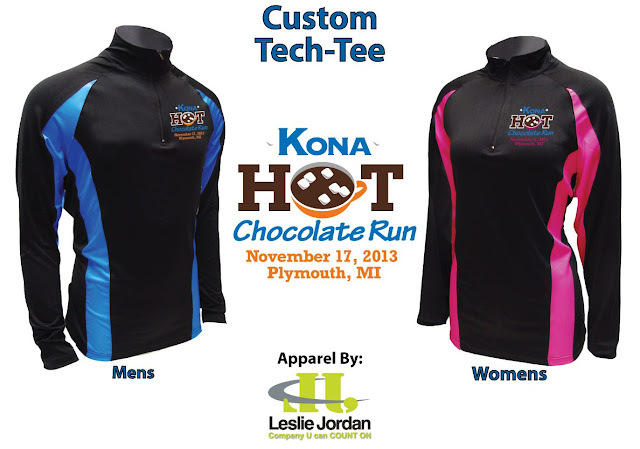 An awesome Tech Pullover Jacket AND a medal for 10k finishers along with lots of chocolate at the finish line celebration. Awesome 1/4 zip jacket included! A $48 value for this alone! This is going to be a "must-do" race for this year so be sure to put it on your list now! Go (HERE) for their website, to register and more details! Awesome shirts!! I wish I lived closer! We are supposed to be having a blizzard here this weekend. I'm going to try to get a run in beforehand! My work canceled today and so did my teacher training tomorrow! Nice weekend of reading! Count me in!! I am definitely running this. Oh and keep us posted on when registration opens up please! !